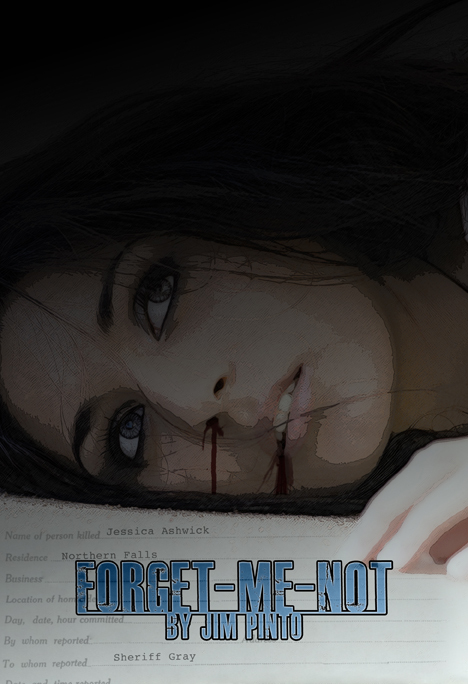 Forget-Me-Not (FMN) is a progressive, roleplaying game experience that plays in about 3 hours, though longer games are an option. It can be played with or without a gamemaster, but requires at least 3 players. Set in the fictional town of Northern Falls, FMN allows players to take on the roles of various key figures in town — the Sheriff, the Town Drunk, the Heiress, the Reporter, etc. — but no one owns any of the characters. Each scene is played different from the last, as we explore the confusing and weird behaviors of the people unaffected by Rebecca Ashwick’s death. If this is your first game, you can start reading and playing within a few minutes. If you’ve never played a roleplaying game before, just relax and let FMN take you to your favorite eccentric stories. Forget-Me-Not is part of a six game series of GMless games available now on Kickstarter.